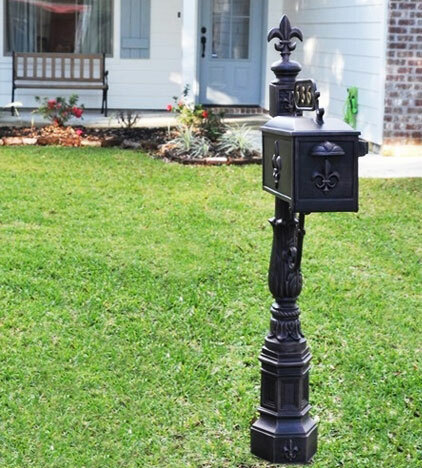 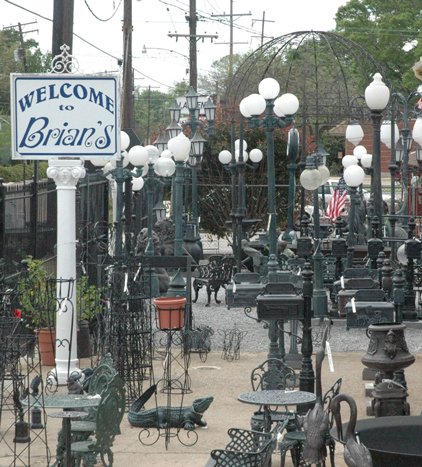 Our bronze, cast aluminum, and rain rock fountains make for beautiful Louisiana-inspired centerpieces to your patio or courtyard, especially when paired with one of our replica cast iron or fiberglass sugar kettles. 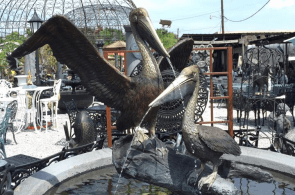 The bronze statuary fountains feature birds and other animals, children and bathing women. 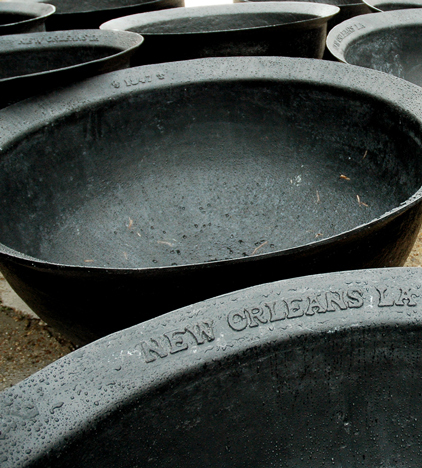 The combination of muted colors and shining, polished metallics make for a striking display. 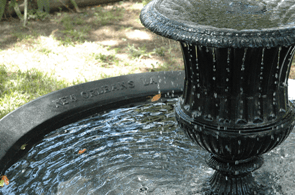 Our tiered cast-aluminum fountains will never rust and when placed in a shallow pool or kettle add a New-Orleans-flair to any water feature. 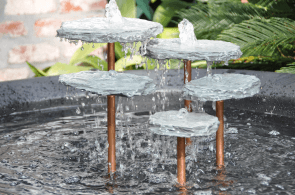 Our rain rock fountains, made from slate and copper tubing, create a ambiance that is both relaxing and intoxicating.